THE SECRETS OF THE FOOD From raw materials to the excellence of agriculture. In the east of Verona there are fruits and vegetables typical: cherries and cabbage, apple and potato, radicchio and asparagus; but also traditional products of excellence: cheese, salami, olive oil, wine and mandorlato. Two days linked to Expo Veneto which will begin on the morning of Saturday in San Bonifacio, where farmers sell their products in piazza Costituzione. From the afternoon and all weekend, in the historical location of the palazzo Vescovile in Monteforte d'Alpone, you can taste the typical food and wine of the area and to listen - at a meeting Saturday afternoon - the secrets of entrepreneurs, farmers, catering staff and experts who daily produce and innovate in nutrition. Afterwards, on request, a dinner cooked by Pro Loco of Monteforte d'Alpone. Market in San Bonifacio: open to all. Tasting products in Monteforte d'Alpone: payment at popular price. Dinner after the conference: (reservation number/closed). 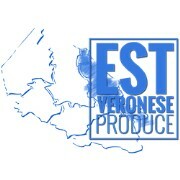 Companies and excellence of the territory of Eastern Verona are now together in Est Veronese Produce to promote and enhance the products and services of the territory. The project was created by San Bonifacio (Verona) in collaboration with Consulta del Lavoro, an association for the protection of productive activities, the professions, companies and labor.